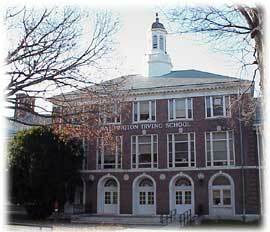 Congratulations to the Washington Irving School! For the first time in seven years, three teams of Washington Irving students made the honor roll of the Math Olympiads. Two teams, one composed of fifth graders and the other of fourth graders, were in the top 10 percent of all elementary school-level teams. An additional team was composed of fourth graders, and was in the top 20 percent of all fourth grade-level teams. No greater number of high performing teams can be found in any other school district in Westchester.